This is a straightforward way to find north with your watch. In the UK it works best when we are on Greenwich Mean Time (more or less from the end of March to the end of October). When we are on British Summer Time, you need to make a slight adjustment take off an hour. Oh, and it also only works with a watch that has hands! If you only have a digital watch, however, draw an analogue watch on a piece of paper and draw on the hands according to the watch. The rest is the same. 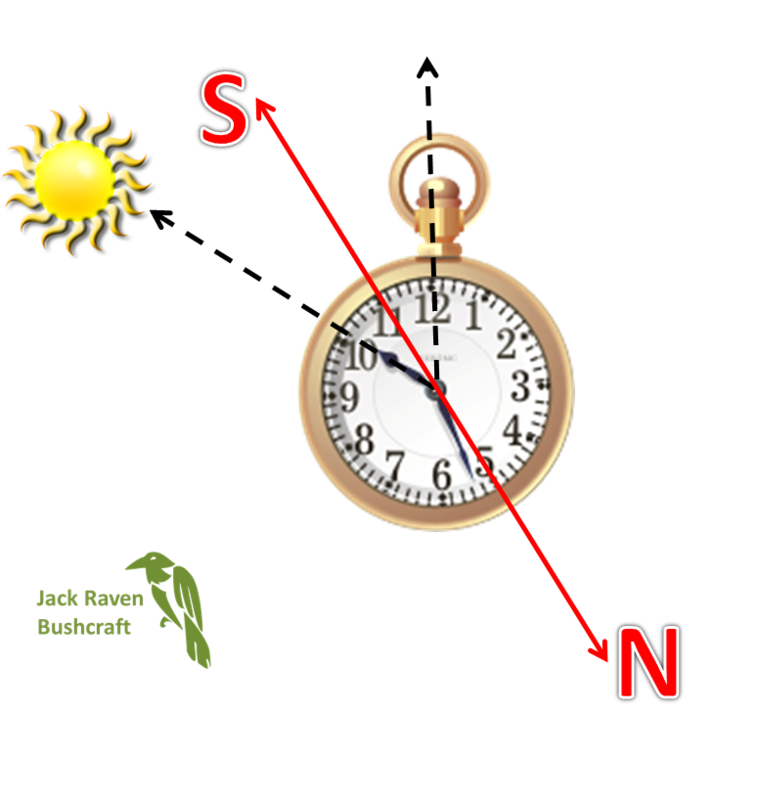 Now bisect the angle between the hour hand and the figure 12 on your watch to give you a line showing north-south. Hopefully this diagram, courtesy of clipart, shows the technique. You can find plenty of photos of our courses and people learning these types of skills on our Facebook page. Gary, nice, succinct article but when we’re on BST you actually need to subtract an hour to get back to GMT.